If space is limited you may want to have a round bowl. Otherwise an elongated bowl provides more comfort for the user. Taller, Universal height toilets are more comfortable for a wider range of users and add an element of safety for those with limited mobility. 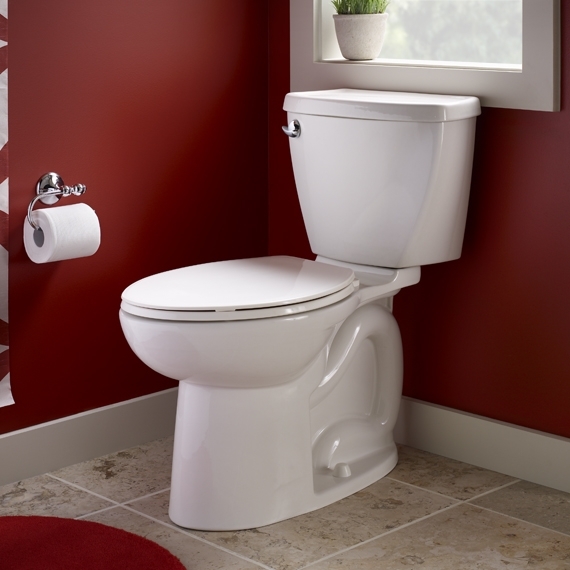 Two piece toilets cost less and one piece toilets are easier to keep clean, often quieter, and have a Sleeker Design. Performance and Ease of Cleaning are some factors we think are important to everyone so the models we have selected feature high performance flushing technologies to reduce water consumption and quality glazing to enable easier cleaning. The price of your toilet is a one-time cost while the operating cost stays for the life of the toilet. Slow close toilet lids eliminate the annoyance of lid an seat slamming and are safer around children and pets. We have chosen some models which we think represent excellent value from American Standard, and Toto. We have recommended and installed these products for our customers for many years and know first hand that these are two of the most trusted brands in the industry. To see the complete Toto Toilet lineup click on the link below.